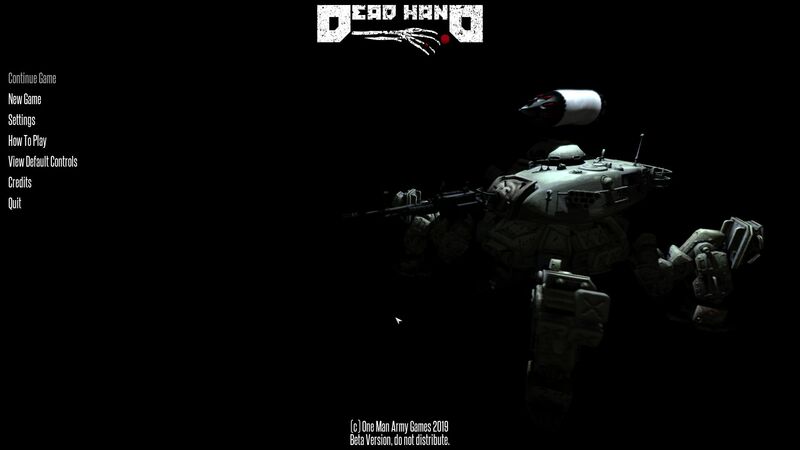 Dead Hand is a turn based tactical roguelike game set in a fully destructible procedural environment. 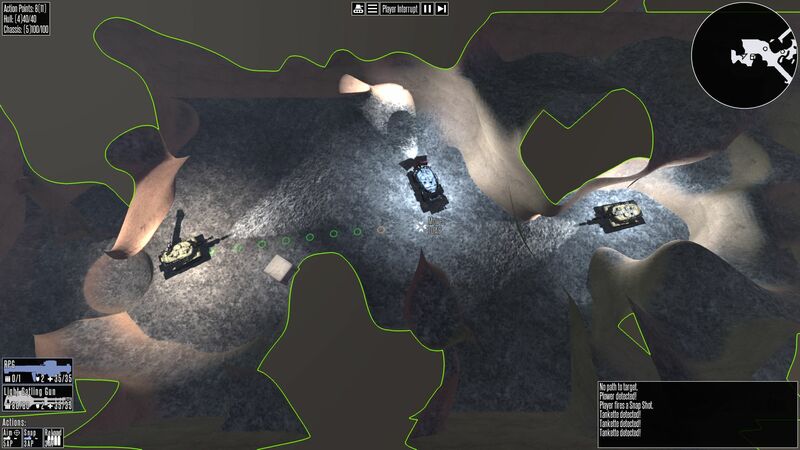 Take control of an autonomous weapons platform and fight your way through a multiple level underground cave complex in order to fulfill your directives. 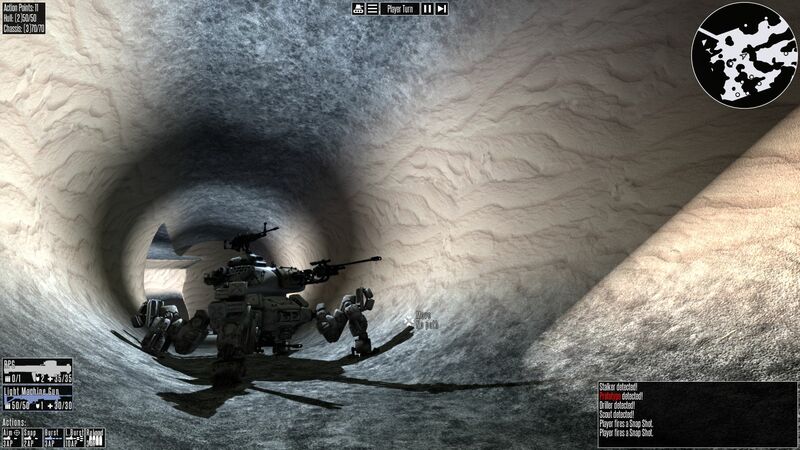 Along the way you'll explore abandoned caverns now populated by rogue robotic combat vehicles, scavenge parts to improve your weapons platform, engage in fearsome boss battles, and die multiple times in the process. 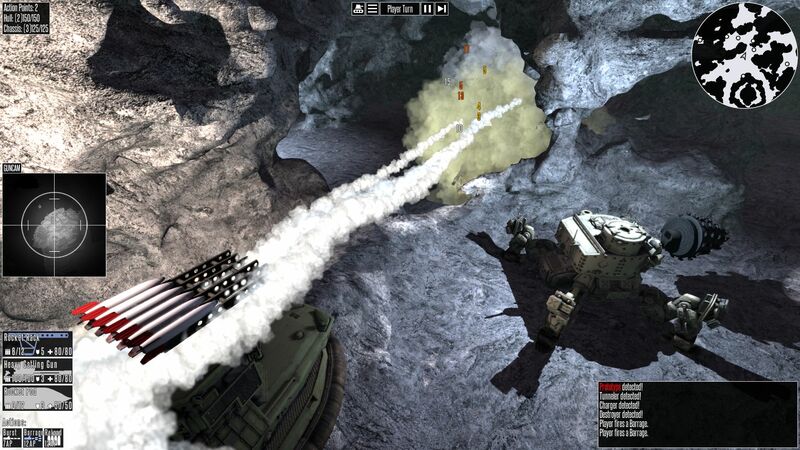 Tense and engaging tactical combat and exploration. 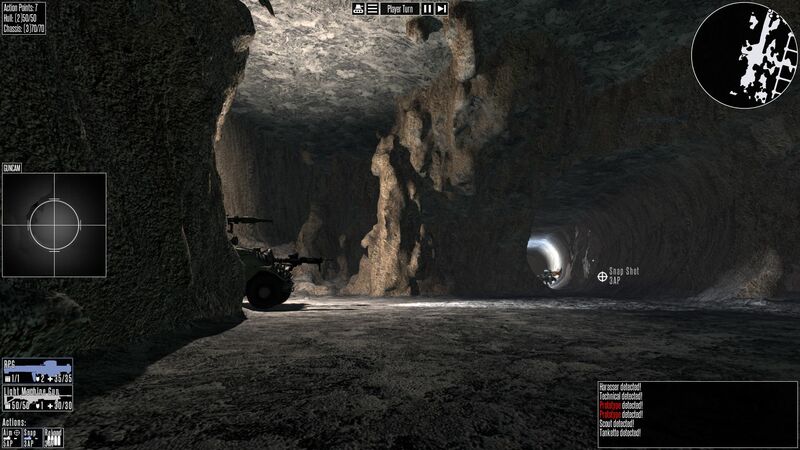 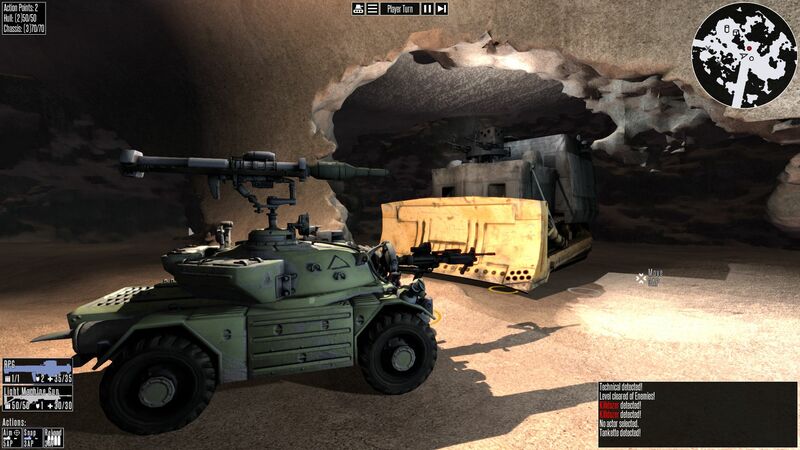 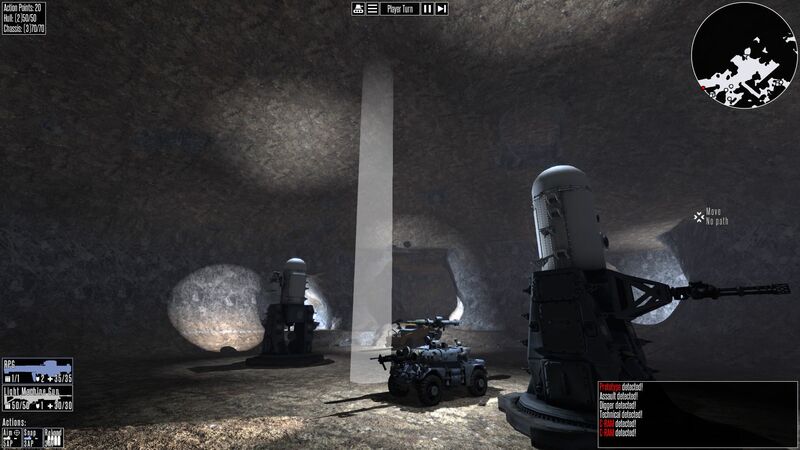 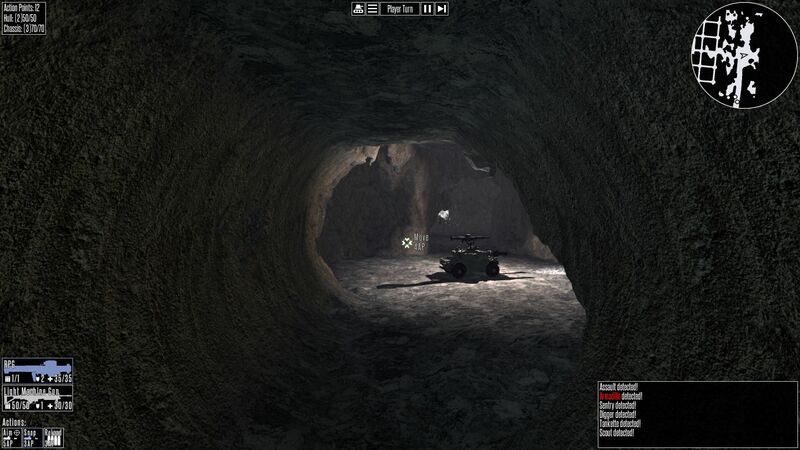 Modular combat vehicles, scavenge parts from neutralized enemies and upgrade your weapons platform. Gear based progression. 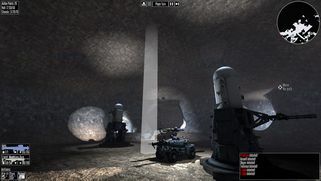 No XP and no levels, your weapons platform is literally the sum of its parts. Old school turn based Action Points management. Freeform movement, no hexagonal or square tiles. Fully destructible cavernous environment, dig foxholes to protect yourself from enemy fire or punch through your foes' cover with explosives! 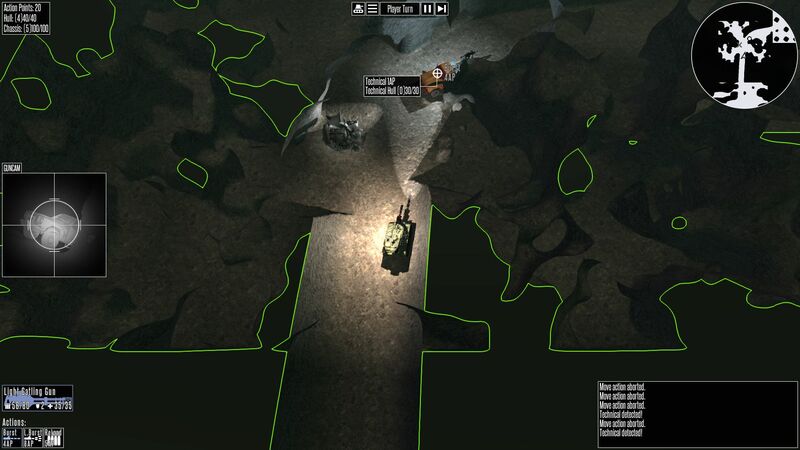 Procedural level generation with handcrafted set-pieces for maximum replayability. 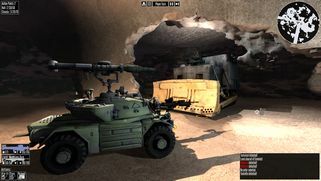 To be released on PC in Q2 2019.